This is a course for people of all ages and skills who want to draw and paint, whether on location or in the classroom, with confidence and an easy-going enthusiasm! No experience is necessary and all levels are welcome. 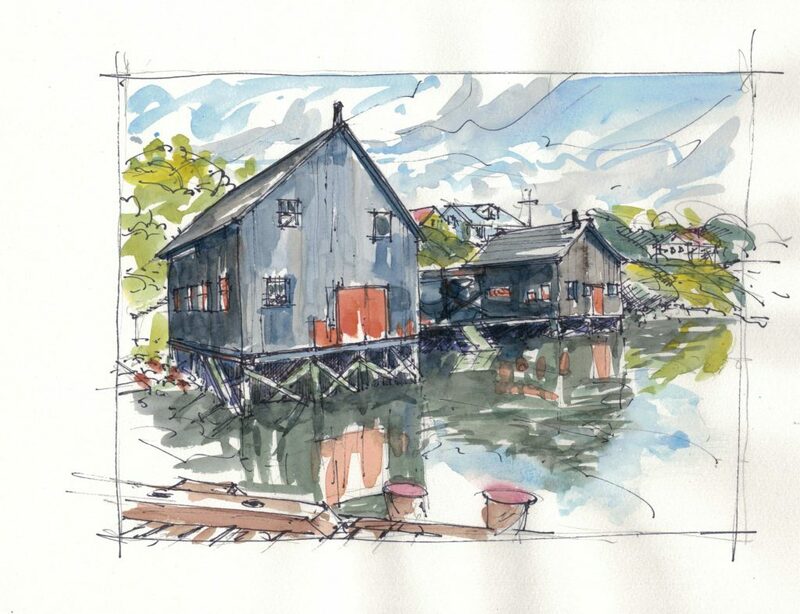 Working individually, but with a creative group, we will explore the wonderful Town of Lunenburg – its picture-postcard architecture, its vibrant and historic waterfront– and create engaging visual stories that capture its special interests and unique cultural vitality. We’ll ‘sketchabout’ using a variety of different media, typically beginning with pencil to set the composition, then add detail and vibrancy with pens and watercolour. You don’t need to know the details of perspective, composition or colour theory, as we will consider these elements and more, through a series of simple, yet engaging, daily exercises that will help build and strengthen your creative skills. We will share our sketches online and ‘show the world, one drawing at a time, the great place we live and visit’. Michael Peters is an artist and a design professional with over three decades of multidisciplinary expertise in design and art education. Michael was a full-time professor at Sheridan College in Ontario and taught courses in Drawing, Graphic Design, 3D Design, Digital Media, and Design Management. He has a Bachelor of Fine Arts degree (painting and photography) from Mount Allison University, Sackville, N.B., 1977, and a Master of Design degree from NSCAD University, 2012 (with a focus on participatory design). 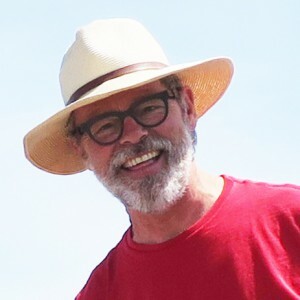 In addition to his work as a design educator, Michael was a design director overseeing the development of international museum exhibits, corporate identity programs, web and print communications and wayfinding / signage programs for a range of cultural, corporate and government groups and organizations.